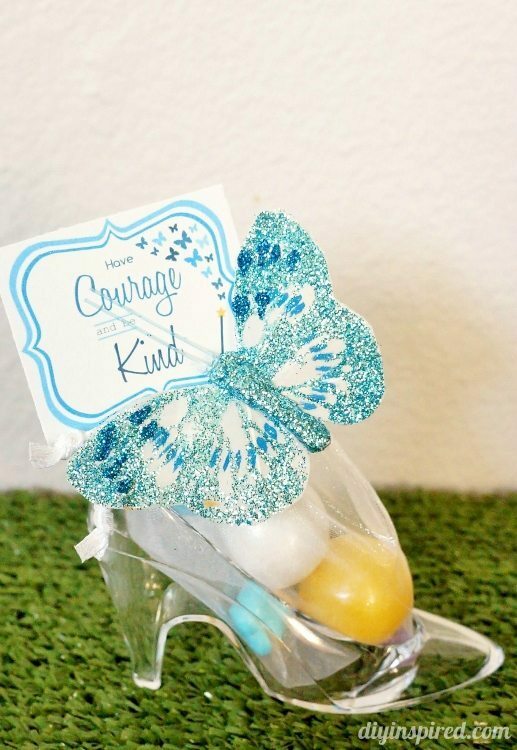 My daughter’s 5th birthday party is coming up very soon and she requested a Cinderella (Movie 2015) birthday party theme. 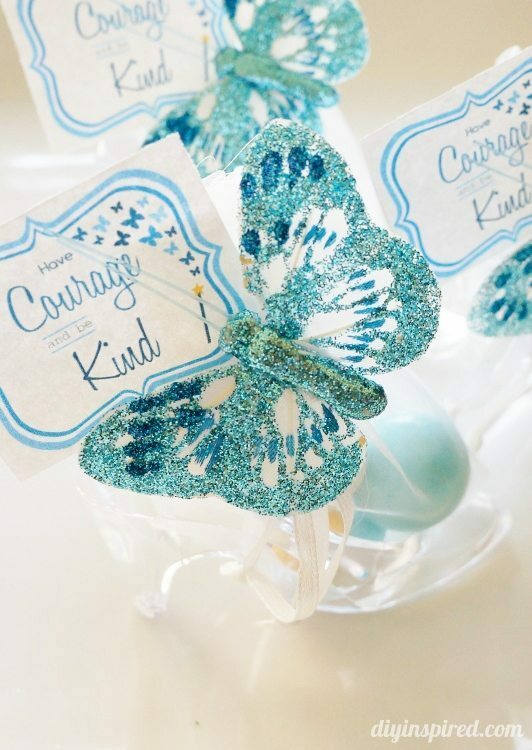 So far, I sent out homemade butterfly in a box invitations and I also made some lanterns with paper blue ombre butterflies that I LOVE. 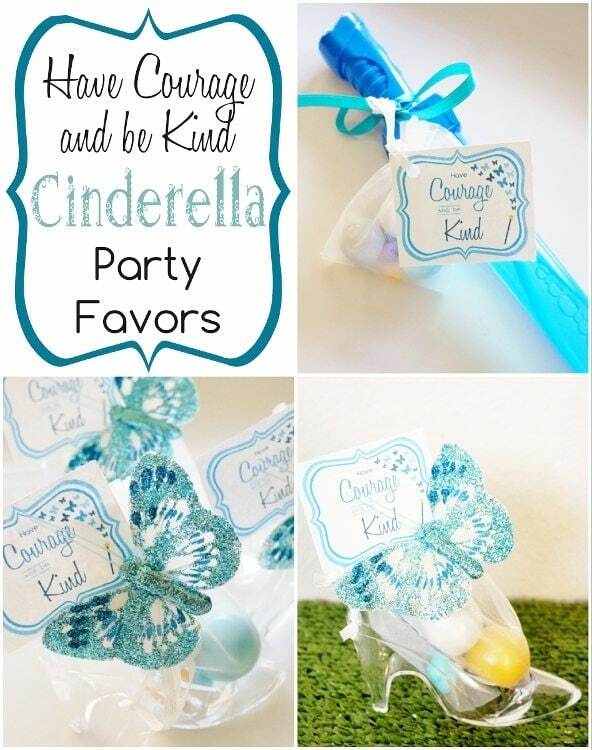 Today, I want to share the Cinderella Movie party favors I made for the boys and girls invited to the party. 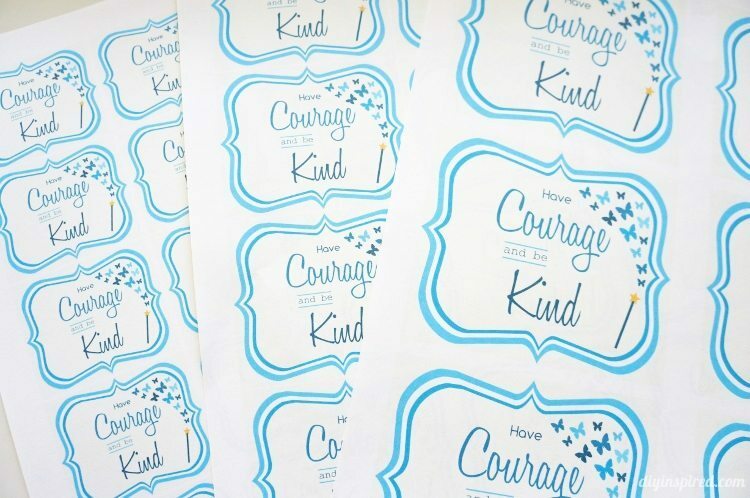 I made some printables in three sizes that you can download that say “Have Courage and be Kind,” a memorable quote from the 2015 movie. 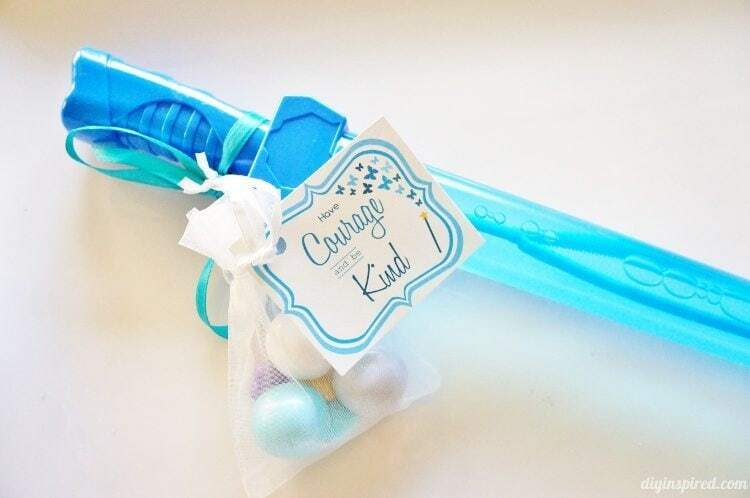 For the girls we are handing out glass slipper party favors and for the boys Prince Charming’s bubble swords . 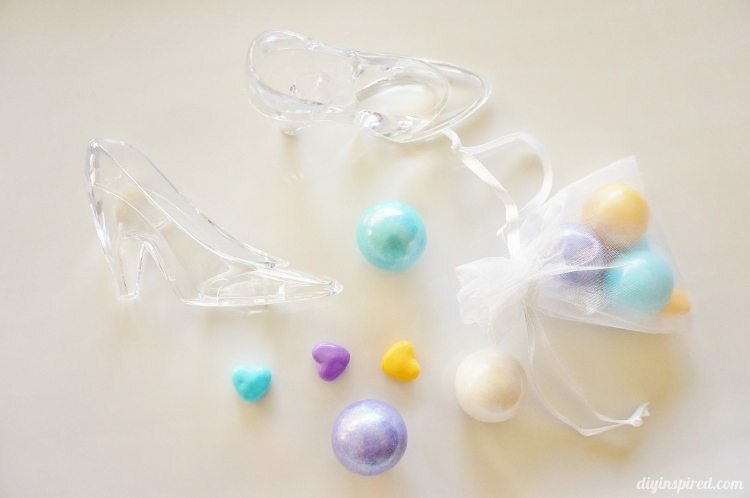 I bought these Glass Slipper Party Favors (affiliate link) online. 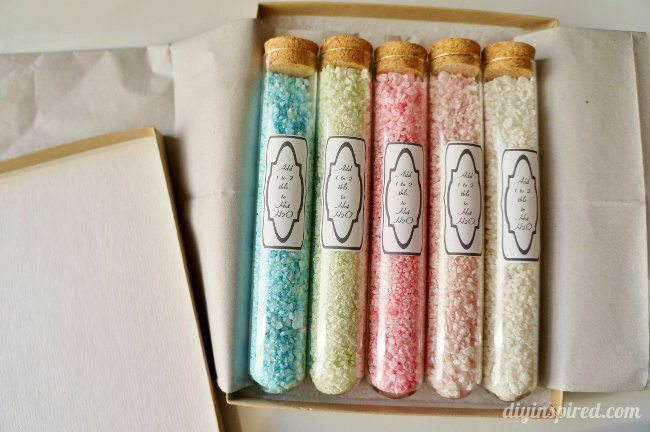 They came with little organza bags that I filled with candy. 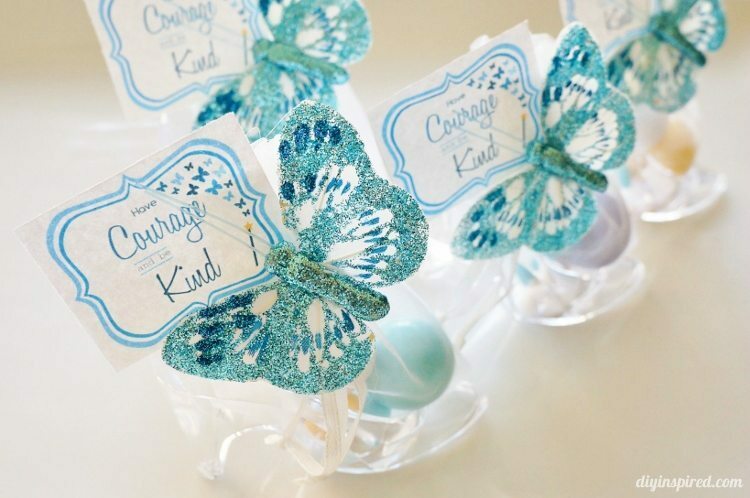 I found these glittered blue butterfly clips on sale at Michael’s to attach onto the bag. 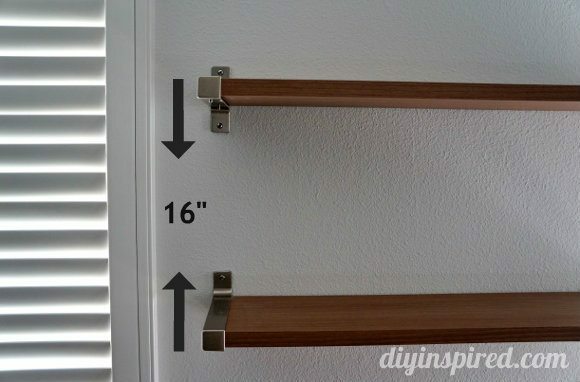 I used the smallest size printable for the slippers and put it all together. 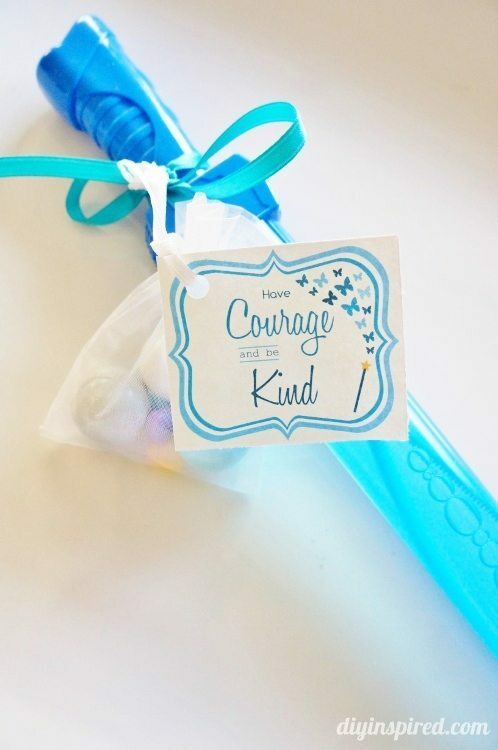 For these, I simply added a bag of candy to some blue bubble swords I found at the 99 cent store along with the medium sized printable. They turned out so cute! Be sure to come back and see the final details of the party. 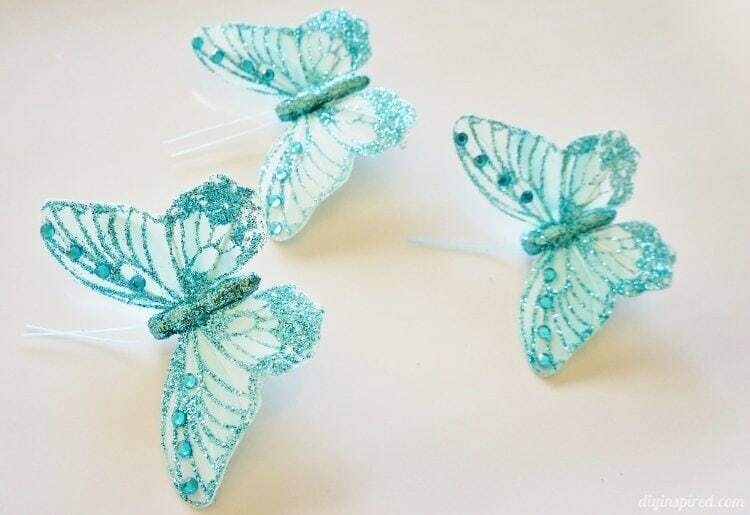 In case you missed it check out my detailed step by step tutorials for the Butterfly Paper Lanterns I made as well as the Butterfly in a Box invites we handed out!